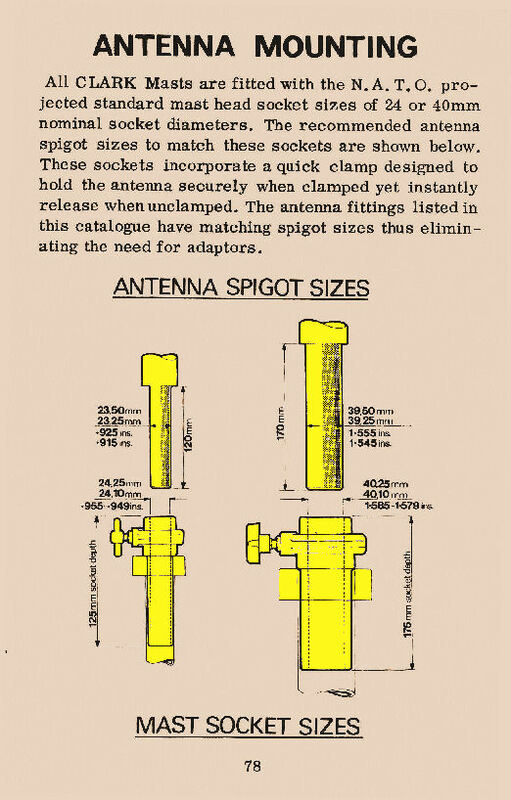 Illustrated on this web page, for historical purposes, is Clark Masts Antenna Mounting Accessories page from their late 1960's - early 1970's catalogue. 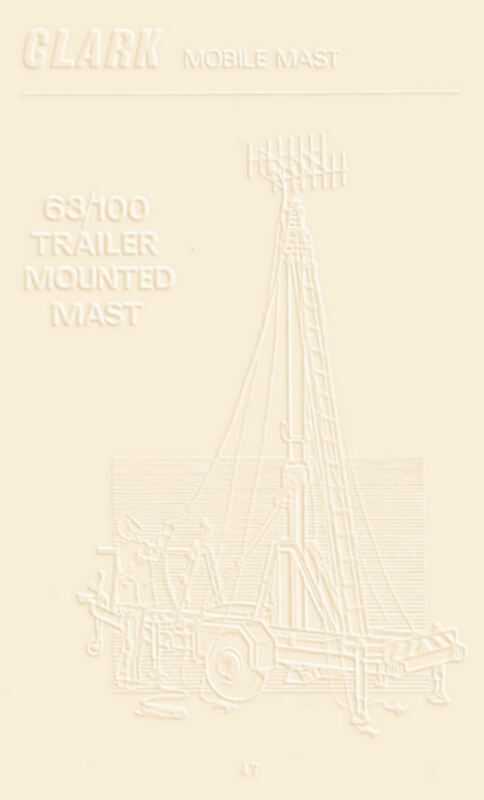 In the late 1960's and early 1970's each Clark Masts portable pneumatic telescopic mast was equipped with either a 24 mm or 40 mm socket at it's head. The socket was designed with a 'quick clamp' to allow the securing of a suitable sized spigot within the socket. Details of both the socket size and spigot size are shown above.